Dear readers, Publishing the Sarakri Job you are waiting for. 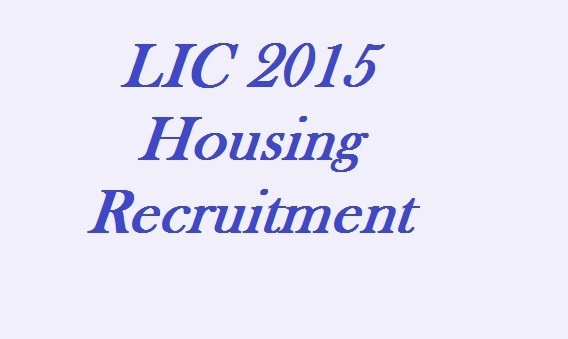 LIC of India pubished recruitment for the LIC Housing Finance ltd for year 2015. 1. Graduation (min 55%) having degree either in IT, Management, Law, Economics and Accountancy. 2. RRBs - CWE-III as per general category cut-off conducted by IBPS in September 2014. Click Here to Apply online to this LIC india Job.